According to the LaGrange Police Department, the theft happened on October 29 at Traylor’s Pawn Shop. 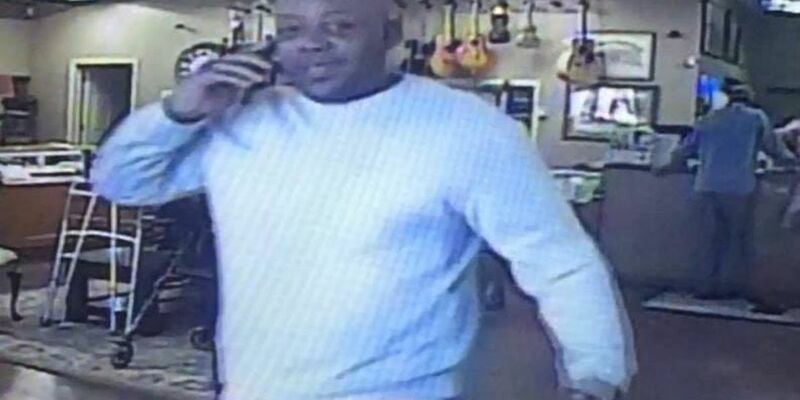 LAGRANGE, GA (WTVM) - A man is wanted in LaGrange for questioning in a theft incident. Photos of the man have been released. Anyone with information on his identity is asked to contact the LaGrange Police Department at 706-883-2603 or Troup County Crime Stoppers at 706-812-1000.